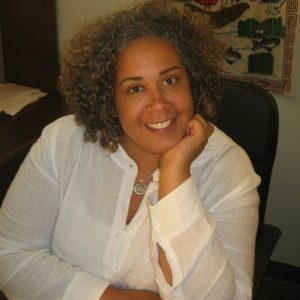 Alysia Steele is a multimedia journalist and author of the book “Delta Jewels: In Search of My Grandmother’s Wisdom,” a finalist in the 2015 Jessie Redmon Fauset Book Awards for nonfiction. The book has been featured in The New York Times, NBC.com, USA Today, Chicago Sun-Times, National Public Radio, Atlanta Journal-Constitution, Essence, theroot.com (owned by The Washington Post), Free Lance-Star, The Clarion-Ledger and Southern Living. NYT bestselling author Bishop T.D. Jake’s featured her story in his Docu-Series. She received her bachelor’s of arts degree in journalism from Indiana University of Pennsylvania and her master’s degree in photography from Ohio University’s School of Visual Communication. Steele has worked as a staff photographer/multimedia producer at The Columbus Dispatch, a picture editor at The Dallas Morning News and deputy director of photography/picture editor at The Atlanta-Journal Constitution. In 2006, she was part of the photo team that won the Pulitzer Prize in Breaking News for their Hurricane Katrina coverage where she served as a picture editor. For three consecutive years, she did the picture editing and layout/design for the Arnold Schwarzenegger Sports Classic coffee table book. She also did picture editing for the National Urban League and designed their 100th commemorative poem booklet written by Maya Angelou. She’s won numerous awards for her photography and picture editing.